The purpose of the D-1-R zone is to require the provision of high-density housing, with a limited amount of commercial use only on or below the ground floor. A building in the D-1-R zone fronting on a designated primary or secondary street is subject to the design regulations of Subtitle I § 602. The following Downtown Sub-Area is found within the D-1-R zone: Chinatown. The D-1-R zone is not subject to the Inclusionary Zoning provisions of Subtitle C, Chapter 10. The credit system relating to Transferable Development Rights (“TDR”) or Combined Lot Development (“CLD”) rights – explained in Subtitle I, Chapters 8 and 9 – does not apply to the D-1-R zone. Each lot in the D-1-R zone must provide the equivalent of at least 2.0 Floor Area Ratio (“FAR”) of residential use before any non-residential uses may be provided on the lot. 1 Unless otherwise regulated by the non-residential density requirements of Subtitle I § 609 for the Chinatown Sub-Area, a building with at least 2.0 FAR on its lot may provide up to 0.5 FAR for non-residential use, which shall be located only on or below the ground floor. 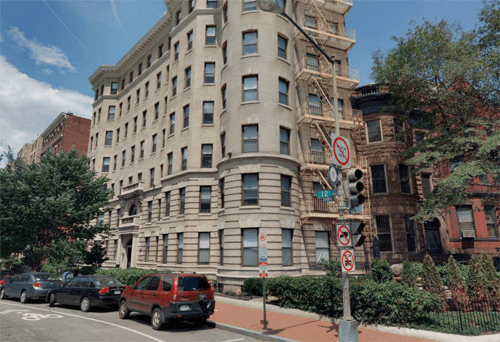 2 A building with frontage on Mount Vernon Square or on Massachusetts Avenue between North Capitol Street and 15th Street N.W. shall be subject to the Massachusetts Avenue Corridor and Mt. Vernon Square Sub-Area regulation in Subtitle I § 610.6.